The most recent hotel I stayed in was the Stephanie Inn in Cannon Beach, OR. 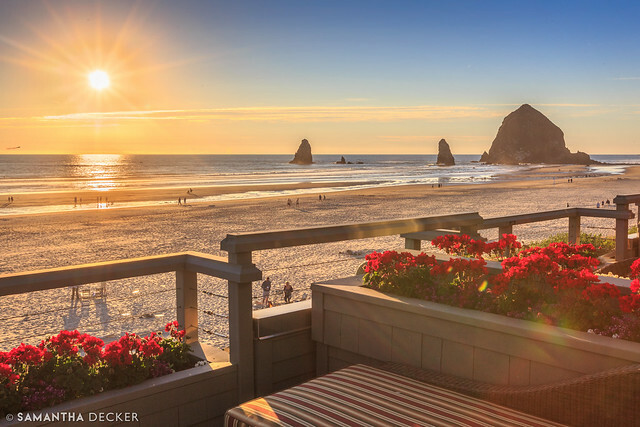 From our deck, one could witness this spectacular sunset over the iconic Haystack Rock. 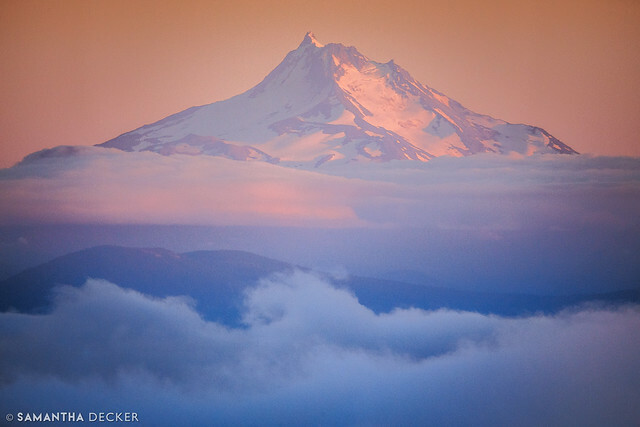 From the Timberline Lodge in Government Camp, OR, I was able to capture Mt. Jefferson at sunset with a telephoto lens. 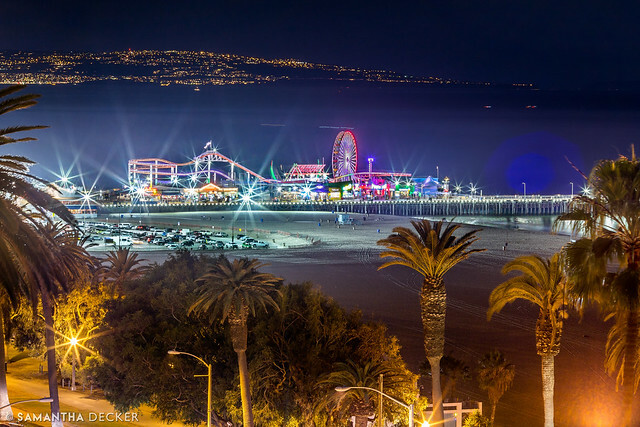 The Fairmont Miramar in Santa Monica offers this gorgeous view of the pier down below. 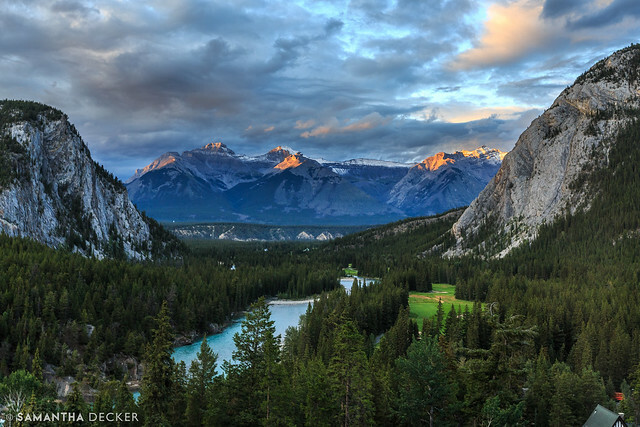 The Fairmont Banff Springs in Alberta looks out onto the golf course, the Bow River, and the Fairholme Range. 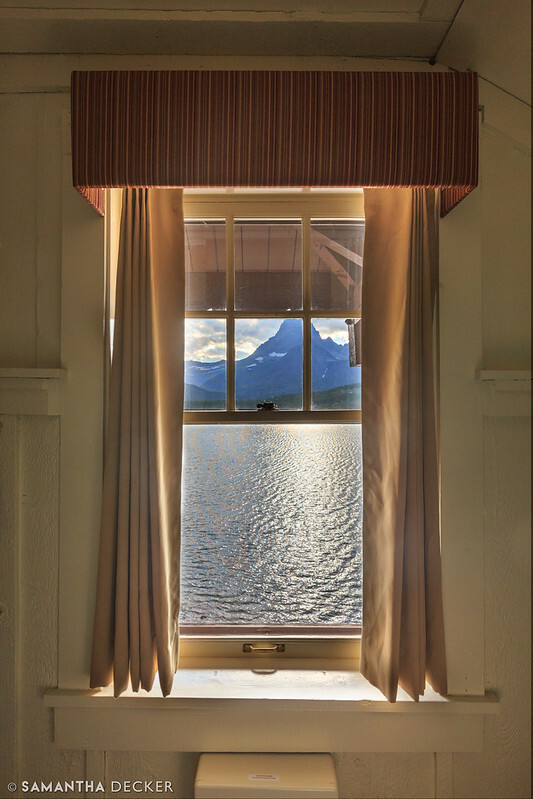 This small window at the Many Glacier Hotel in Glacier National Park gives a glimpse of Swiftcurrent Lake. 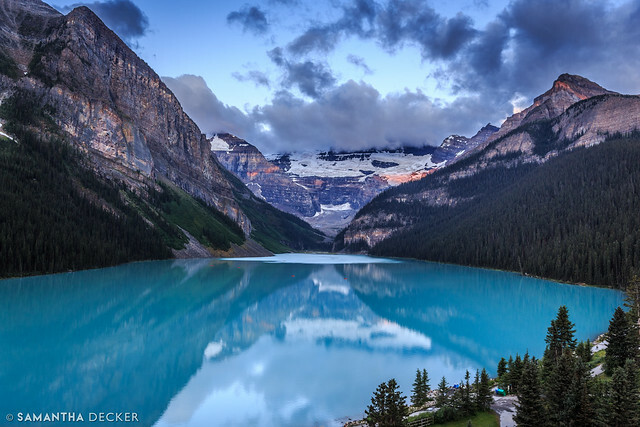 Although there is stiff competition, I count the view from the Fairmont Château Lake Louise, also in Alberta, as the most gorgeous view I've ever seen. See those tiny red dots on the lake? Those are canoes. At the top of this post is a view from the same window, later in the day. Although slightly obstructed, this view from the Ahwahnee Hotel in Yosemite provides a stunning view of the trees and mountains. 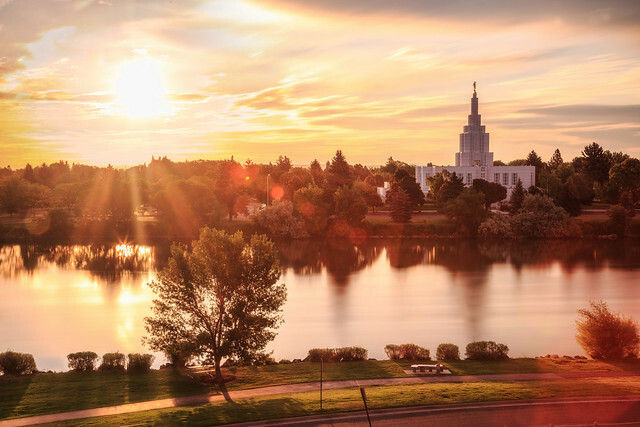 I captured this sunrise over the Snake River and LDS Temple from the Hampton Inn in Idaho Falls. 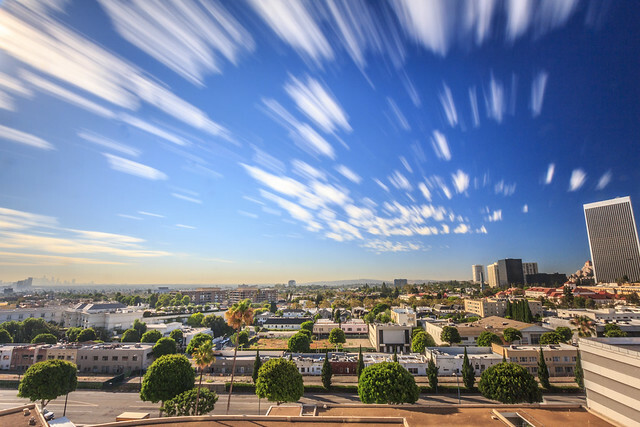 A long exposure with a neutral density filter allowed for these "paint stroke" clouds over Los Angeles from the Beverly Hilton. Disney's Animal Kingdom Lodge definitely offers a unique view. 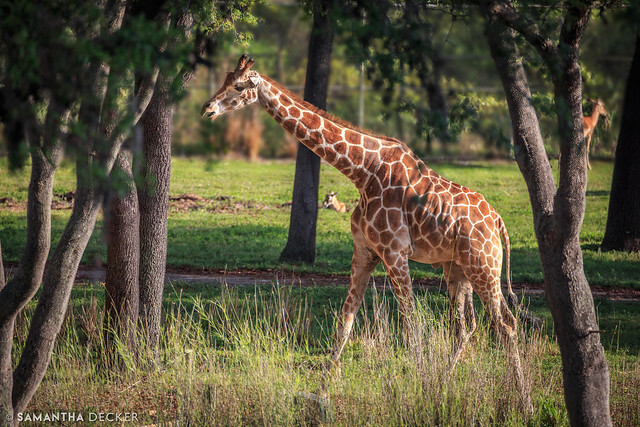 From each room, you look out onto a savanna where you can see giraffes, zebras, and other animals. While I enjoyed staying in the hotel, the truth is that the views are just as good from the public viewing area. I never stayed at the Jackson Lake Lodge, but a visit afforded me the opportunity to take this photo of the impressive view of the Grand Tetons from the lobby. This panoramic view of San Francisco can be enjoyed from the iconic Top of the Mark bar at the InterContinental Mark Hopkins. 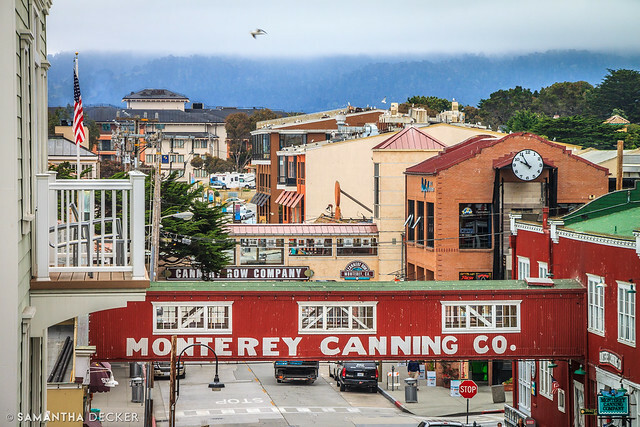 A foggy day on Cannery Row in Monterey makes for an idyllic scene in this view from the InterContinental Clement Monterey. 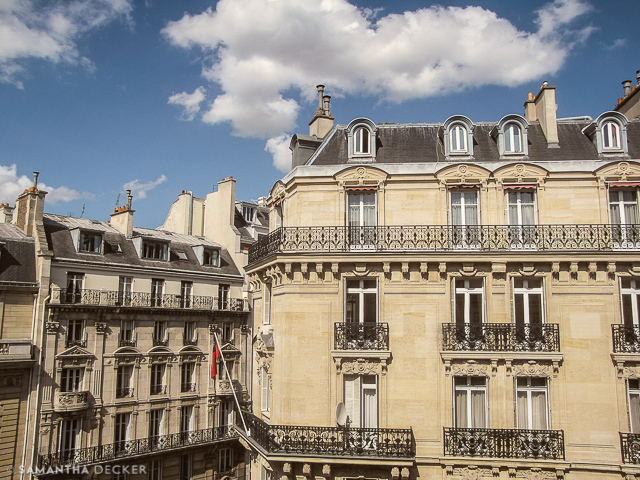 No famous landmarks or stunning landscapes in this photo from the Hilton Arc de Triomphe (now the Hôtel du Collectionneur), but the instantly recognizable Parisian architecture make this one of my favorites. 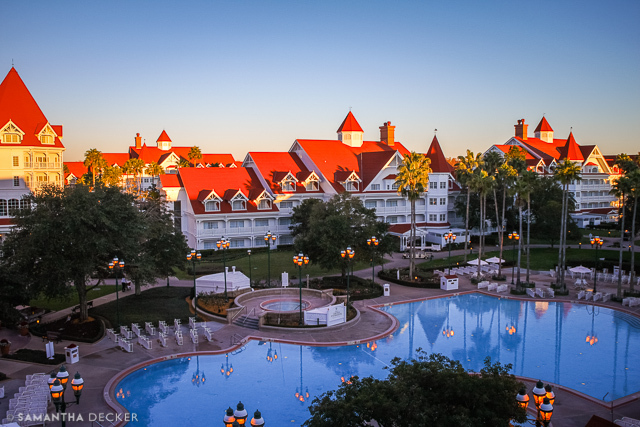 The blue color of the pool and the sky complement the red tile roofs of the Grand Floridian in this sunrise photo. 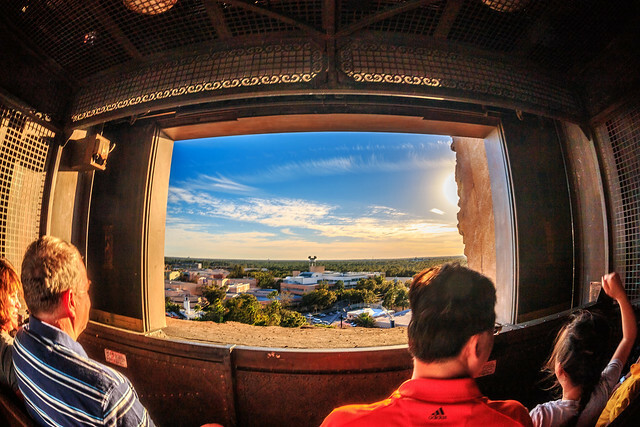 And to close, this last photo is not exactly a real hotel, but I just love the view from the Hollywood Tower Hotel aka the Twilight Zone Tower of Terror at Disney's Hollywood Studios. This is the view you get before plummeting towards the ground.